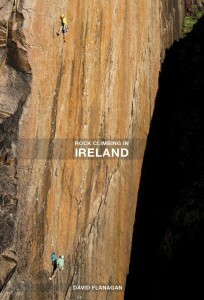 Rock Climbing in Ireland documents the best of Irish rock climbing. 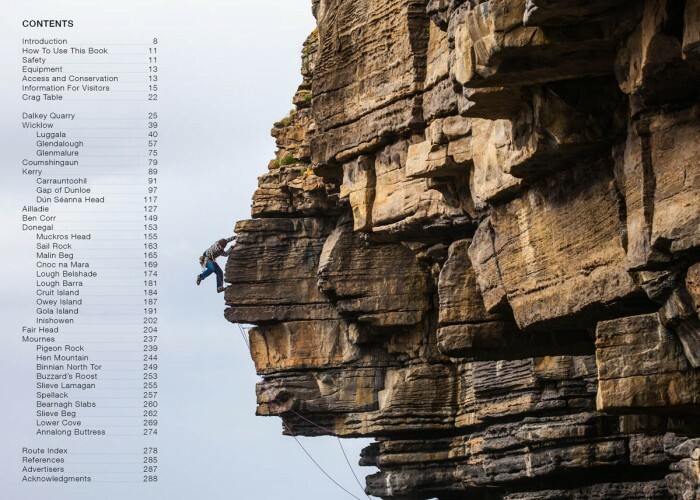 It details over 400 classic climbs spread across 22 crags in some of Ireland’s wildest, most beautiful coastal and mountain areas. 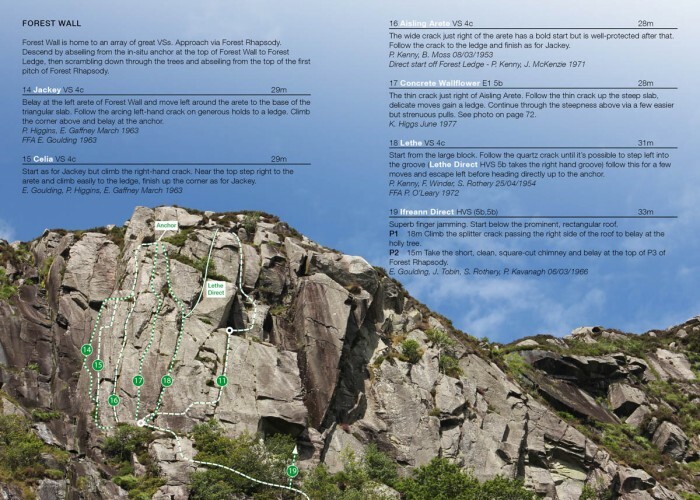 With routes from Diff to E9 there is plenty for all climbers no matter what their ability and taste. 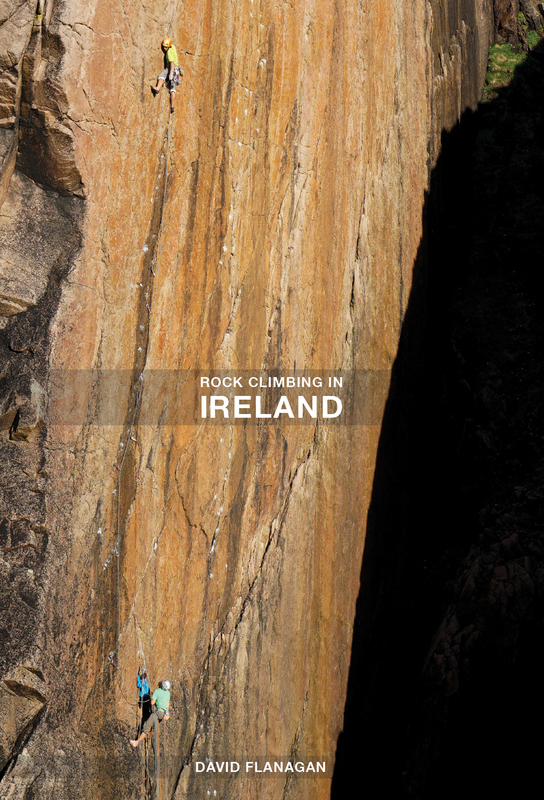 Packed with extensive maps, precise topos, detailed route descriptions and inspiring action photos, this book is essential reading for anyone interested in Irish climbing. 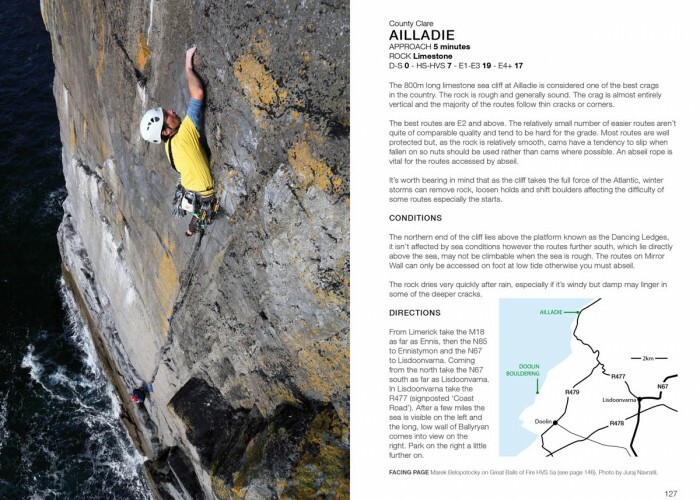 "This guidebook has set a standard of Irish climbing guides... [it] fills an important gap for both the visiting climber and the road-tripping Irish enthusiast. 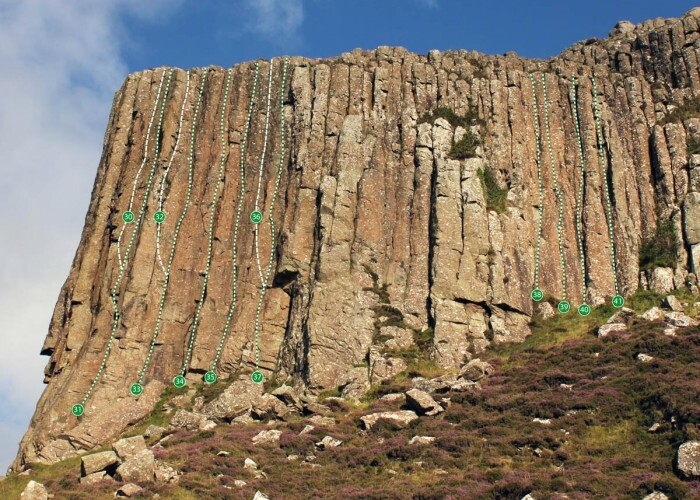 It does what it sets out to do superbly. 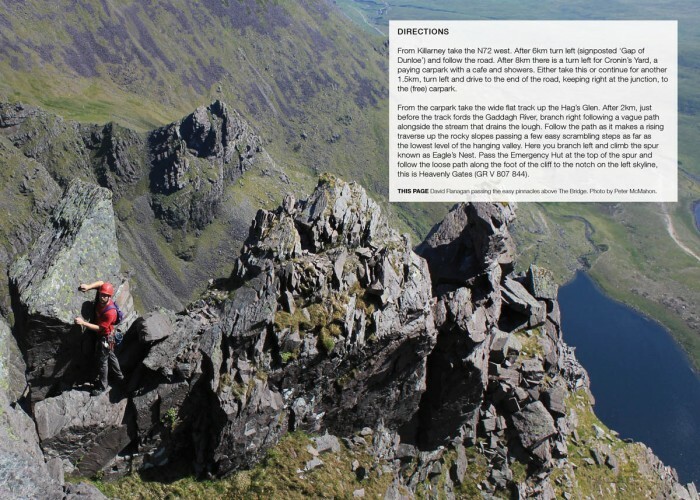 The images and descriptions are clear and the whole package is beautifully presented. 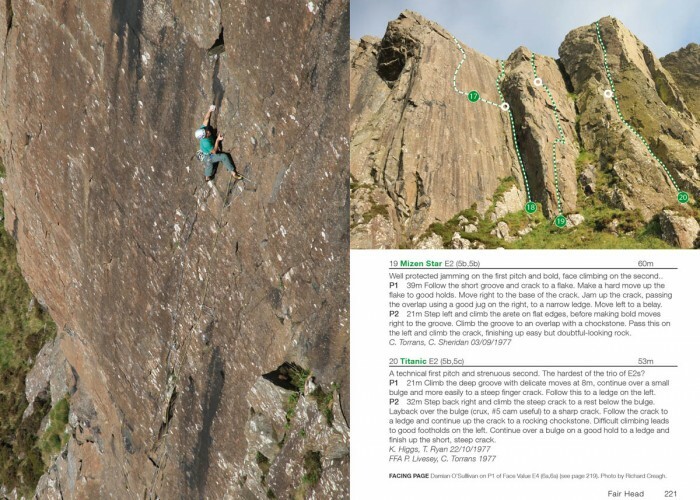 If this doesn’t inspire you to climb above the Atlantic waves on the perfect limestone of Ailladie or pit yourself against the largest continuous expanse of climbable rock in the entire British Isles at Fairhead, then nothing will..."
"Flanagan’s book will become a classic, with its high-quality photographs and accurate route descriptions... [this] lavishly illustrated and well-designed anthology collects the best climbs of the country into one volume for the first time. 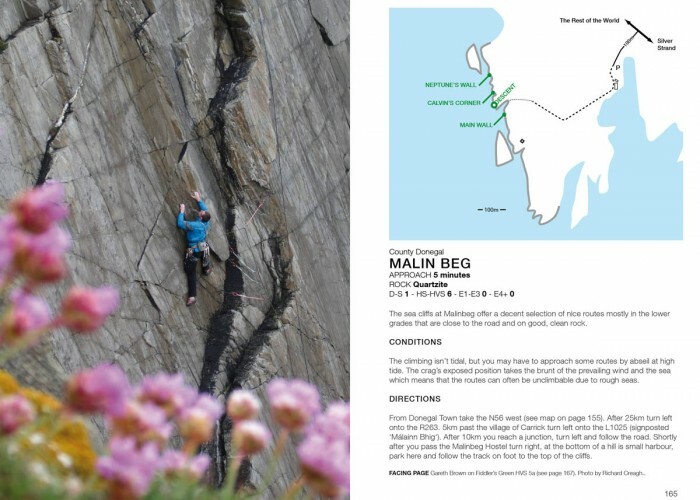 For climbers, this one volume will open up new opportunities elsewhere in the country." 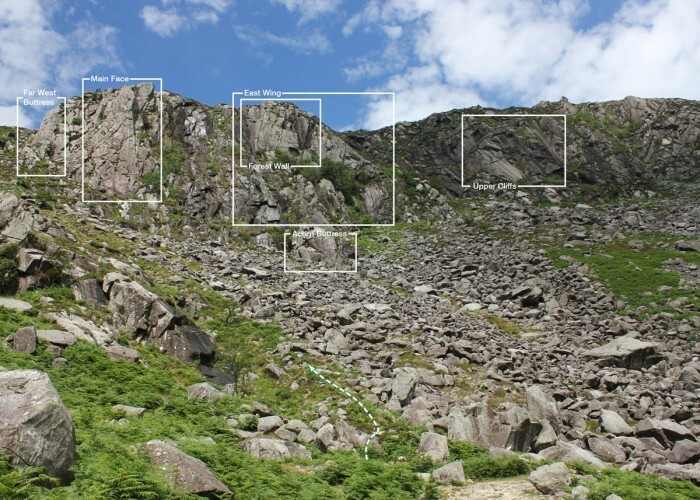 "Taking good shots of be used in topos requires the patience of a hunter. 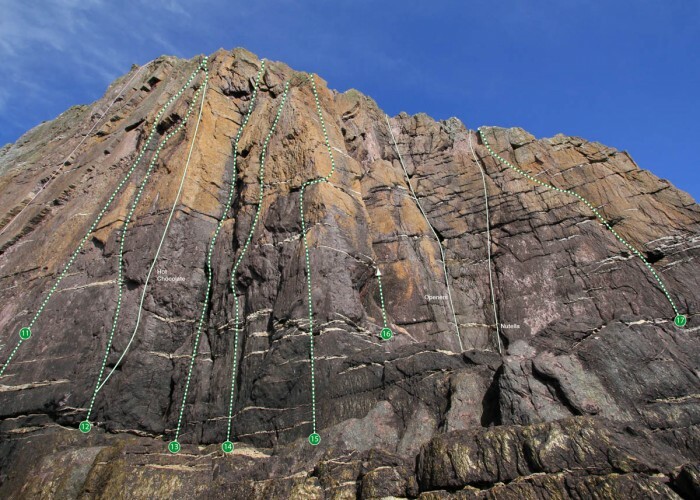 Doing this well is difficult enough in one county, but doing it in nine and getting it so right ranks up there with writing a page of the Book of Kells, enough achievement for one man for a lifetime. " 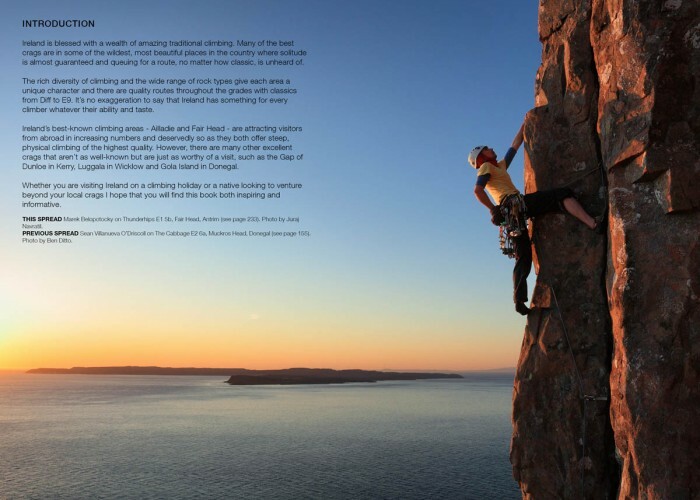 "In his introduction, Dave hopes that we will find the book “inspiring and informative” and that’s exactly what it is. 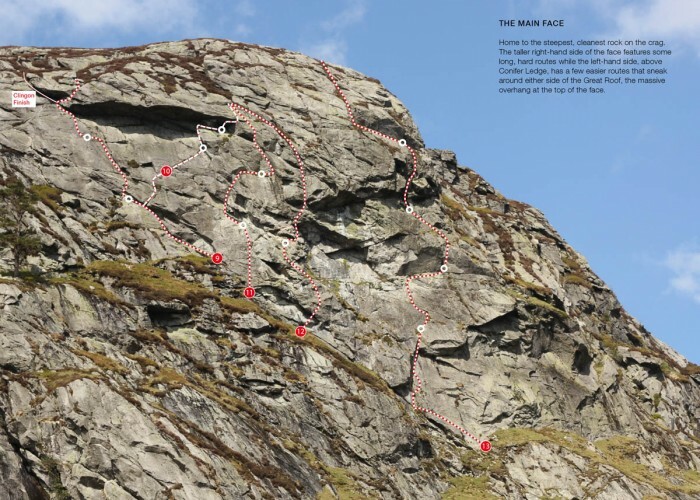 Not only does it make you want to climb yet to be visited crags in Ireland, it also makes you want to revisit familiar crags and try lines you’ve perhaps been ignoring or forgotten. What better recommendation can there be than that?" 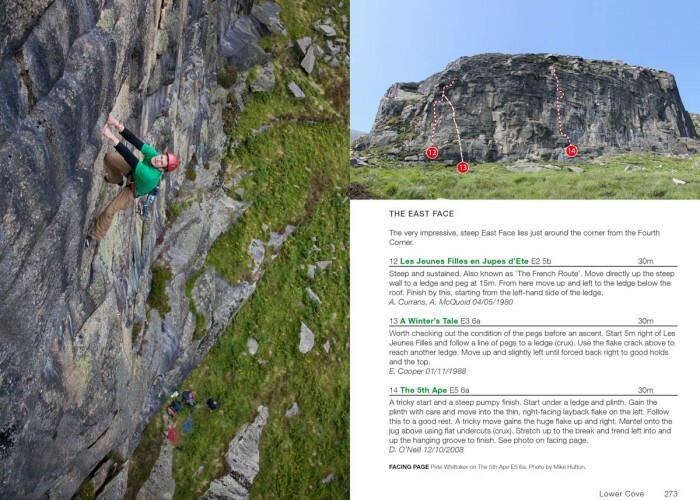 "I loved the clean, minimalistic and well-structured layout of the Guidebook. 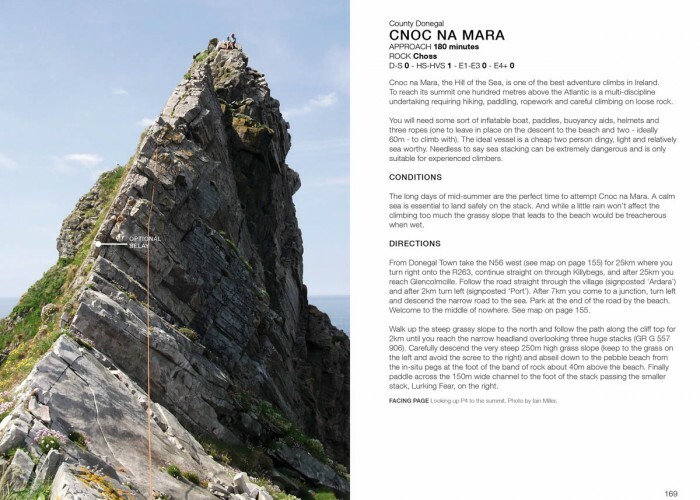 It was aesthetically very pleasing to read, with a nice & clear typography and great topo photos - these are something that make a climbing guide book not merely good, but great." 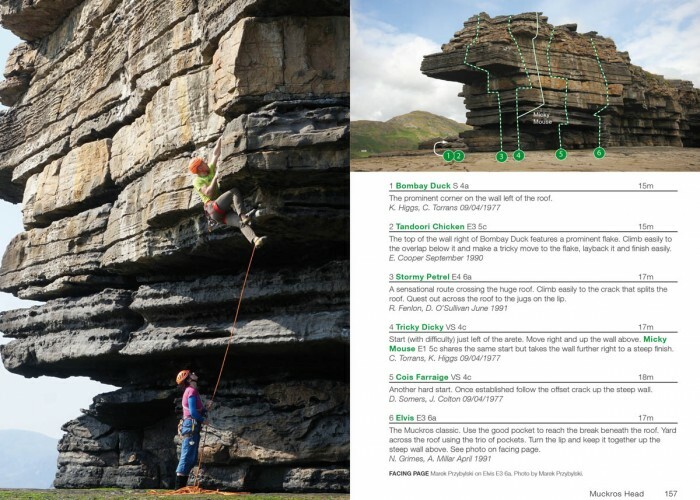 "I really like both the size and the feel of this guide and it’s clear, uncluttered lay-out. 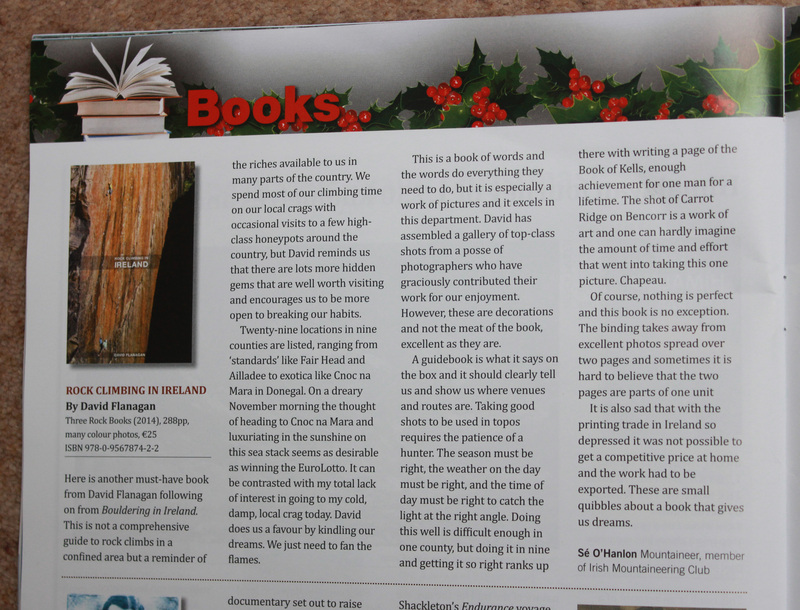 David has done an excellent job and I can appreciate the huge amount of work that’s gone into it. 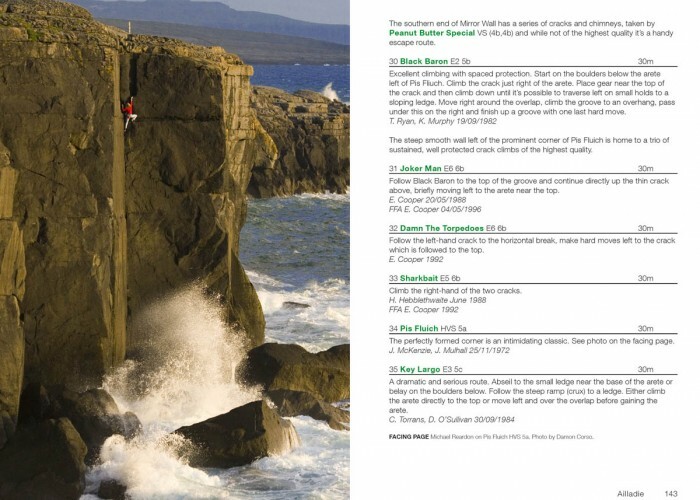 The guide is a must for climbers based in Ireland who are keen to explore new areas but I also highly recommend it for those climbers planning or thinking about making a trip to Ireland from mainland Britain."